Operations may not be the sexiest part of creative work, but it's crucial to keep creative teams on top. Chances are when you were in design school, you didn’t hear or think much about creative operations. Creative, by its very definition, doesn’t seem to mesh well with process, analytics, metrics, and structure. When you see the word “operations”, you probably picture Gantt charts, scrum boards, kanban cards, and spreadsheets. Not exactly why you chose the creative field, right? But, in today’s fast-paced environment, including a solid creative operations structure around your creative team can make the difference between just keeping up and keeping on top. If these symptoms sound familiar, you may need to take a good hard look at the way your creative team is functioning, and partner with your marketing team to build in some key process and structural changes to get with the operational program. The first place to look if you want to improve your team operations is how your team is structured. Do you have one person in charge, truly in charge, of how jobs are opened, how teams are assigned, and how timelines are set and managed? What about how your data is stored and retrieved? Or do you have multiple people, mostly creative directors, managing these functions in silos? Is the person in charge of the process neutral, and able to play ‘’Switzerland” when it comes to prioritizing work? Do you have enough people handling accounts, or do you have your creative team split between client management and actually performing creative functions? Key roles such as traffic managers, project managers, and account managers are crucial to keeping things running smoothly on the team by freeing up more time for creatives to do the work they love. Next, take some time to look for gaps in your team’s infrastructure. Do you have written processes and project-specific procedures in that everyone knows and follows? Do you have a standard file naming convention, archiving protocols, and job documentation practices? A lot of these items can be documented and standardized with the use of a creative workflow management system. By leveraging templates, pre-defined proof routes, and customized project intake forms, your team can build a more robust and supportive infrastructure. As your team begins new projects, sends proofs out for review, and wraps up work, they are constantly producing data. The question is, are you collecting that data? A creative workflow management platform can automatically collect that data for you. Of course, collecting all that information alone isn’t enough. By leveraging that data to track important KPIs, you can quantify your team’s valuable contribution to the business. While operations isn’t the sexiest part of a creative career, it is a vital and necessary part of making sure your creative team functions at its most efficient pace. Take some time to review your team’s current operations, including team structure, processes, and information to find areas to improve efficiency and demonstrate the creative team’s value to the business. 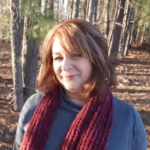 About the author: Debbie Kennedy is former Head of Advertising Operations with CarMax, and is currently Creative Director for Capstone Production Group, and CEO of Write for You, a Digital Content and Creative Workflow Consulting Firm based in Durham, North Carolina. She’s been a power user and advocate of inMotionNow since 2014.